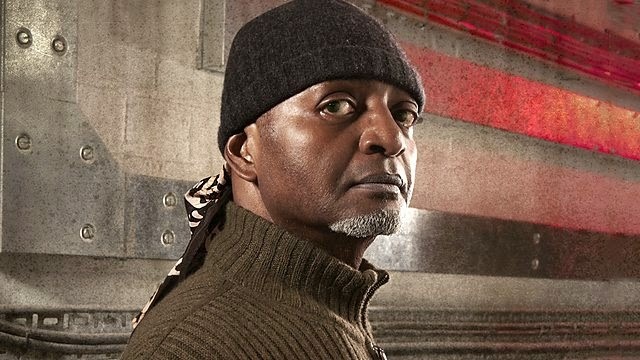 I know it sounds weird to say it, but the recent BBC Radio 4 broadcast of Neil Gaiman's Neverwhere was one of the most racially diverse, wonderfully colorblind casts I've heard in recent memory, and I am overwhelmed with joy at the way that the radio program made a point to include characters of color in the story. More than that, they went out of their way to turn implicitly white characters into characters of color, using not only the casting process but also allowing the actors to use non-standardized English accents to imply a world of great racial diversity and ethnic heritage. What's super cool about this, of course, is that they really didn't have to. I mean, the program in question is a radio broadcast. It'd be kind of funny if they didn't include any people of color in the casting, but honestly they could have easily argued that with a non-visual medium, there was no real demand for it. But they didn't do that. They went the extra mile, and that's really freaking awesome. 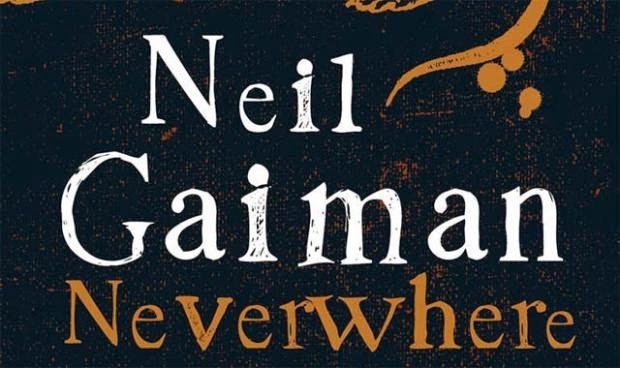 To back up a couple of spaces, the radio program I'm referring to here is called Neverwhere. Broadcast in March of 2013, the show is now available on iTunes (and probably some other places). 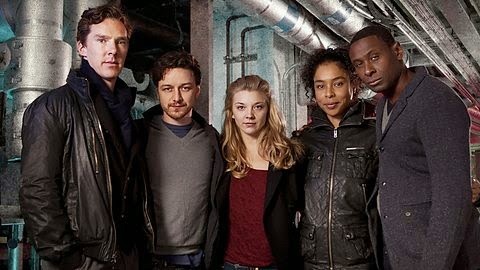 It's a couple of hours long, and follows the plot of Neil Gaiman's original Neverwhere novel quite closely. The only difference? Well, it's a radio broadcast, so everything that happens has to be conveyed through dialogue and sound effects. They did a good job, it's a well done program. Our hero is Richard Mayhew (James McAvoy), a Scottish boy come down to London for a big fancy job in the city. He's got a high maintenance fiancee he can't really stand (Romola Garai), a job he doesn't particularly like, and an apartment he's only so-so on. All of this changes, though, when Richard stops to help a poor homeless girl, Door (Natalie Dormer) who's been injured outside his apartment. He brings her in and bandages her up, but finds that not only is she not really from around here, she's also being chased by two very frightening men (Anthony Head and David Schofield). 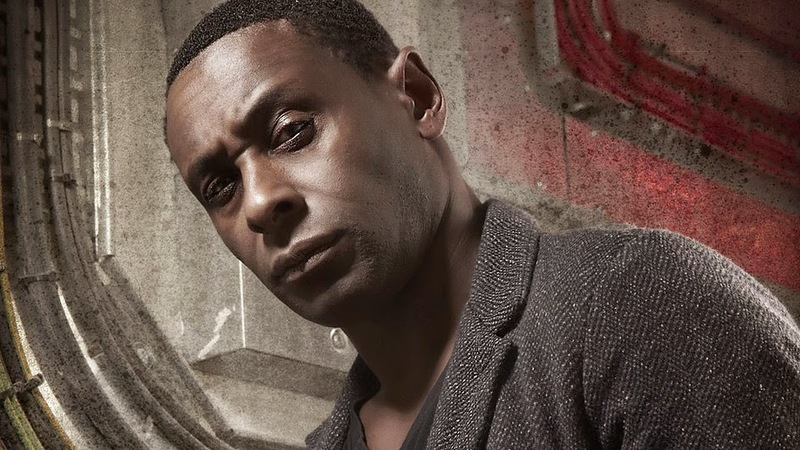 So Richard, who is a kind soul, helps Door find her friend, the Marquis de Carabas (David Harewood) and go on her merry way. By now Richard has come to find that there is a magical world underneath London, called London Below, and that whatever Door is mixed up in, it's got to do with this crazy place. The story really gets going, though, when Richard goes back to his flat and his job and his life, satisfied that he a did a good thing helping Door but ready to put it all behind him, only to discover that his old life doesn't fit him anymore. More than that, he doesn't really exist anymore. No one can see him, no one recognizes him, and it's like he never was. He's fallen through the cracks, and now the only place left for him to go is the sewers and tunnels of London Below, hoping he can find Door and find a way back up to the world Above. That's the basic gist of the story, as far as I can tell you without getting into too much detail and ruining the whole suspense thing. Richard helps Door find out what happened to her family while he also searches for a way back to his old life. The details are awesome and unusual, but like I said, what really stands out here is that casting. In the book, none of the characters have a set or determined race. Neil Gaiman isn't the sort of writer, thank goodness, that generally goes around describing people's skin tones, and most of his works, while very culturally white, are colorblind when it comes to the specific appearances of their characters. Yet, as we've already seen in relation to Welcome to Night Vale, race is possible to convey in a completely auditory medium. Furthermore, it is possible to emphasis racial diversity, even in a medium where the audience cannot see the characters. Even more? It's important to do this. Very important. Because while race is not explicitly conferred by the way that people speak, there are implicit signals that we interpret and understand as racial signifiers. A certain turn of phrase or accent or cadence can imply a racial background. For white people, we're used to hearing white cultural phrasing and accent as the default, and all others as deviations from the form. But for non-white listeners, it must be incredibly refreshing and comforting to hear implicit racial signifiers in the speaker's voice that convey familiarity and a shared background. And since white speech is generally considered "educated" and "proper", how wonderful to hear a variety of accents and voices on BBC of all things! A whole plethora of non-standard accents telling a story about the outcasts and magical denizens of a London filled with strange and wonderful places. These accents imply to the listeners that London Below, and therefore the world of magic and fantasy, do not belong solely to white people, but rather to everyone. And that's a pretty important message. So it matters a lot that even in the list of the main three characters (Richard, Door, and the Marquis), one of them is a person of color. 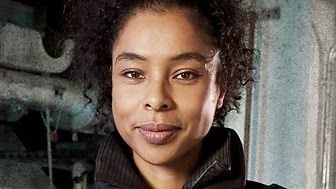 It matters that Hunter, the greatest fighter and survivalist the world has ever known, who slew the tiger of Calcutta, and a thousand other mighty beasts since time began, is voiced by Sophie Okonedo. It matters that the BlackFriars are predominantly voiced by men of color, and led by George Harris as the Abbott. Actually, I want to pull the BlackFriars out as a particular example, because I absolutely love how they're done in this version. Like it says above, in the book the BlackFriars have no determined race. They have weird funny names, and they like tea, and they've been guarding their keys and secrets for a thousand years or more, but we don't know a whole lot about what they look like or who they really are. They're rather minor characters, all told. Which makes it all the cooler that the directors here made an intentional choice to give the BlackFriars identifiable non-English accents. If I had to take a guess, I'd say they sound West African, but I am by no means an expert. Whatever the actual origin of the accents, the men are clearly identified by their voices as non-white, and potentially non-native. Only they're monks who guard a secret underneath London and belong to a society that's been in place for thousands of years. And they're not white. Cue the screams of joy and gladness that a fictional work is acknowledging the presence of black people in London prior to the eighteen hundreds! You see, it's not just notable that the casting director included actors of color at all, it's also worth pointing out that the roles these actors play are ones that we rarely see actors of color in. The Marquis de Carabas is a member of the nobility. Sure, it's the nobility of London Below, and he's a disreputable character with shady morals, but it's really important that he's a nobleman. He's a black nobleman. That's great! Hunter is established as the most badass badass to ever badass, she's thousands of years old, and she's black. How cool is that? How cool is it for the little kid listening to the radio to hear this super awesome woman fighting monsters and being amazing, only to look up her actress and see a woman who looks like them! A nobleman, an ageless warrior, and a kindly old man of God? These are exactly the kind of complex, compelling, interesting roles that we want to see more actors of color get. So yeah, it's a little weird to compliment a radio program on its colorblind casting, but that's precisely what I want to do here. Bravo, Neverwhere. Not only did you make a really good radio program, you also did it while expanding our understanding of what it means to be British. All of the characters in this program are incredibly British, and all of them belong to London. Thank you for making it clear that not all of them are white. In the TV version, the Marquis, Hunter, and the Blackfriars were all black as well. I hadn't even heard of the TV version before yesterday. I'm definitely going to check it out.